يشكل Airport Motor Lodge بموقعه الممتاز في ولنجتون نقطة انطلاق جيدة لاستكشاف هذه المدينة النابضة بالحياة. يمكن من هنا للضيوف الاستمتاع بسهولة الوصول إلى كل ما تقدمه هذه المدينة النابضة بالحياة. كما يمكن الوصول بسهولة إلى Wellington International Airport, ‪Ataturk Memorial‬, New Zealand Academy of Fine Arts Academy Galleries. إن Airport Motor Lodge حريص على توفير الراحة للنزلاء، فلا يوفر الموظفون جهداً في تقديم أفضل الخدمات وضمان حسن الاستقبال. يمكن لضيوف الفندق الاستمتاع بالميزات التالية على أرض الفندق: مرافق مخصصة لذوي الاحتياجات الخاصة, تسجيل وصول/خروج سريع, تخزين الأمتعة, واي فاي في المناطق العامة, صف السيارات . تنعكس أجواء Airport Motor Lodge في غرف الضيوف.تلفزيون بشاشة مسطحة, حوض الاسترخاء, غرف لغير المدخنين, مكيف هواء, تدفئة هي بعض الميزات الموجود في العديد من الغرف. كما أن مجموعة الخدمات الواسعة الموجودة في الفندق لضمان راحتك تترك لك الكثير من الخيارات لقضاء وقتك أثناء فترة إقامتك. مهما كانت دواعي سفرك فإن Airport Motor Lodge هو خيار ممتاز لإقامتك في ولنجتون. تُتاح خدمة انتقالات المطار مقابل رسم إضافي. لتتمكن من حجز خدمة الانتقال، يُرجى إبلاغ العقار بتفاصيل وصولك بعد إتمامك لعملية الحجز في قسم "الطلبات الخاصة". هناك رسم بمبلغ 15 دولارًا نيوزيلانديًا مقابل استخدام مهد الأطفال. Excellent location although when we arrived at the airport we try to call for airport transfer, no one picked up our call. We had to arrange another airport transfer. Apart from that rooms were very cleaned and comfortable. This was a very good place to spend the night before my early morning flight. As the airport is a 5 minute walk away. I was greeted by a very nice man who had a brief chat and showed me how things worked. He was chatty and made sure I knew how to get out at stupid o’clock in the morning when my flight was. The room was good with the double bed actually being a double and no two singles pushed together as they often are. The bathroom was good but the fan was quite loud, this was a mild annoyance as opposed to a problem. All in all I would recommend this to others. Great location for Scotts College. 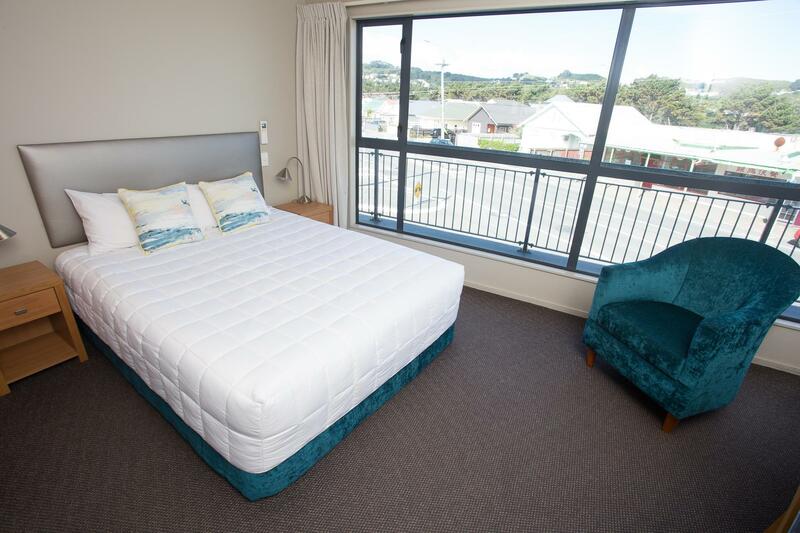 My fiance and I had an 8-hour layover in Wellington so we decided to stay at the Airport Motor Lodge to get a few hours sleep before getting on a very early flight. We got to the motel at about 10:30pm and the man who greeted us when we checked in was very friendly and hospitable. He showed us our room, gave us information regarding the property (what to do if you check out early, where to get food on the way back to the airport, etc). The room was very spacious and the beds were comfortable. The bathroom had toiletries, which was a nice surprise for a motel! It was an easy check out at 3.30am and only a short 8-10 minute walk to the airport. Definitely recommend this place, especially if you want a few hours sleep in between 2 flights. The hotel is near to the airport! And just a few mins walk. And after you booked the hotel, the hotel will send you a really detailed information and how to call them for pick up! The boss there was really nice and he showed us the restaurants nearby and picked us up in the airport! And the room was spacious, clean and tidy and comfortable. That was really great hotel I would recommend to all of you! Very warm welcome on arrival and great introduction to the room. Rooms are spacious, well appointed and comfortable, the bathroom is also great with towel warmer. The motel location is fantastic for that early morning international departure with transport to the airport arranged for you. Outstanding Motel and service in every way. Suggestion for additional value-add, is to provide free internet. Stay was great. The staff was extremely kind and helpful. The place was surprisingly luxurious for a "motel," which was definitely unexpected from the name. The photos accurately depict the room I stayed in. I felt completely safe as well. Would definitely stay there again and would recommend it to others. 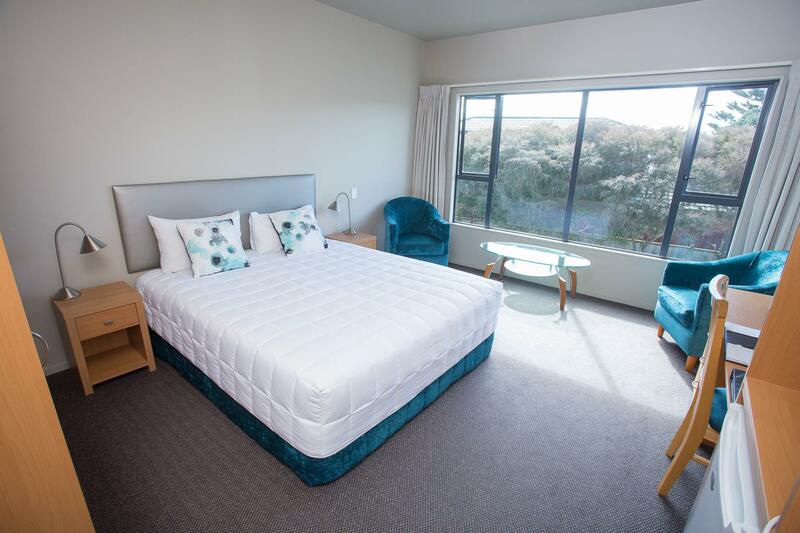 I stayed in the Wellington Airport Motor Lodge for 1 night in a Classic Studio room. It was clean and comfortable and quiet and of an acceptable standard, much to be expected from the internet photographs. 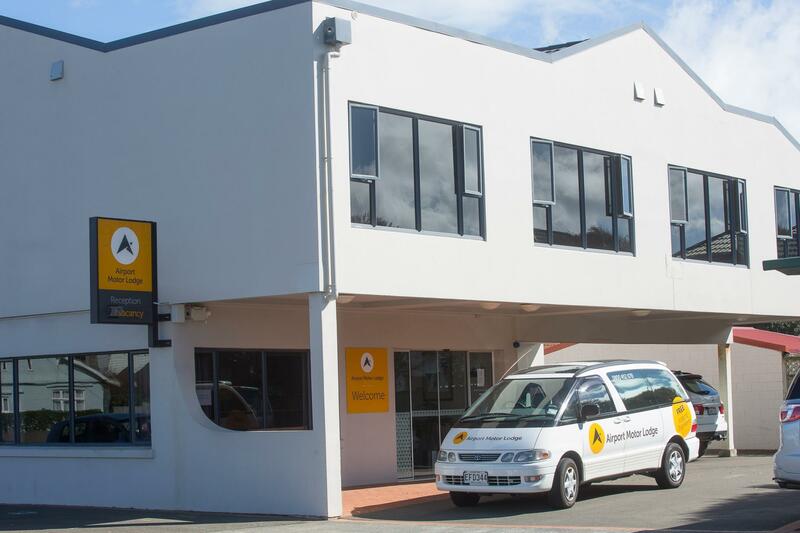 However, it is not a destination hotel and the draw is the location next to Wellington Airport (which does not have a hotel on site). My flight left at 6:30 am (around the time most flights to Australia depart) and the hotel was full up with others in the same situation. Not having to rely on a shuttle service or taxi in the middle of the night from the Hutt Valley is worth the high price for what it is. It's not a flash place, but the staff were friendly and helpful, they do a shuttle to the airport (5 min drive) and it's convenient if you need to overnight close to the airport. Nice hotel, close to the airport 5 minutes walk . Lovely room and people that work there. Try and stay there if I have an early or late flight in or out of Wellington. Many thanks for your lovely review. We appreciate your comments. On the very rare occasion I needed to use the Internet when we stayed. We had no joy with logging on. Twice I went back to the manager and he gave me another login and said call the company. They couldn't help. But I discovered after several goes to connect there were 2 internet access's to this hotel, but the instructions didn't say it was the second one to log onto. (No 2) This didn't come up as the signal was so poor! There was no sky TV or food available at the Hotel. Excellent location with free pickup and delivery.Staff were really helpful but we had a few issues.Air conditioner didn't work and the room was really hot - they had to go out and buy a fan for the room.Broken towel rail in bathroom(they already knew about this) and bathroom door wouldn't lock -advised of both.Mini bar was minus a couple of items-advised them of this. My introduction to this lodge was prefaced by the older lady on the desk telling me to either "get in or stay out" as I stood in the doorway. Fair enough - it was cold, but not a good warming first impression. The hotel is comfortable , albeit a little tardy round the edges but lacks the warmth and dedication to turn it into a genuine 4 star establishment. No frills, quiet room with comfy bed a few hundred meters from the terminal. Excellent all round facilities, clean and comfortable with two great restaurants just across the street. Terminal is just a 250 metre walk from the motel.